Once I was traveling in Mumbai when I took my slippers off and kept my foot on the ground. I felt very hot. So, I asked my mother, "Why is it so, mamma?" She told me, "Land heats up and cools down faster than water. Places like Chennai, etc..., which are closer to the sea are neither very hot nor very cold". In summer the cool sea breeze brings down the temperature of the surrounding area. In winter, the sea is warmer than the land. So, the warm breeze from the sea raises the temperature of the places along the coast. * Pratishtha wrote from Aligarth, Uttar Pradesh, India the lines you read above. Thanks, Pratishtha. I really heart it. What about your own city? You know of course many facts about it. Could you write about it and upload pictures from it? I would be glad to read about it. All I know is that Aligarth city is in a district by the same name and it is the administrative seat or headquarters for that district, which lies in the Indian State of Uttar Pradesh in the northern part of India. * Readers, are you from the Aligarth city? Write good information about it, or about Any Beautiful City you know in India, upload pictures from it and get some good ebooks to read, when you submit the form. Read also about another beautiful place in India at Gujarat. * You are here at Distance from the Sea. Be the first one to comment and write different details about Aligarth. * Use the small buttons on this page to subscribe the news feeds of this website, either to read the news through your desktop, or at you accounts at Yahoo, Google, Bing and others. Alternatively, you are welcome to follow this website at Twitter and Pinterest. I appreciate liking and tweeting this page. Join in and write your own page! It's easy to do. How? Simply click here to return to Contribute to 100 Beautiful Sites in the World!. Are You Cool... After School? Students Like Me Have Passion to Make Their Life Better! Give the Owner of 100 Beautiful Sites in the World a Big Hand! "Like", "Pin" the Pictures, or "Tweet". Thanks. What makes a place beautiful? A beautiful place loses its beauty if the people were not so beautiful. Beautiful people make their place beautiful. Hard people make their place hard and careless people make their place ugly! (1) Is it only you that makes the place beautiful? (2) Answer at Any Beautiful City. Best Travel Offers to Beautiful Places in the World! There are many cheap traveling packages to different places in the world. I expect to see many of them here. But, it is absolutely good idea to investigate each opportunity, carefully, compare prices and then decide to take the best opportunity and fly with it. Like 100 Beautiful Sites? Email this to Friends... Use the form at Forward 100 Beautiful Cities. Share your beautiful city of birth or your beautiful city of residence with 100 Beautiful Sites in the World. Share your beautiful town and let us all read about it and know about it. Upload beautiful pictures from your city or town and invite your friends to read about it and comment on your writings and photos. You control this through the form at Any Beautiful City or the User Interface. Subscribe to 100 Beautiful Sites in the World Feeds! See the small buttons on this page. Click on the RSS orange button at the top left column and subscribe to news feeds from 100 Beautiful Site in the World. You can also subscribe to these feeds through your Yahoo, Google, and Bing using the buttons below it. 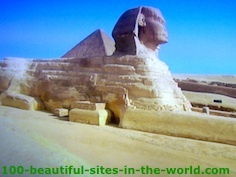 Empowers the 100 Beautiful Sites in the World.